Lately, Rockstar has been adding a bunch of new game modes into Red Dead Online. Which is good. The game is lacking content and players need more to do. But these new modes aren’t the content Red Dead Online I really want. These modes are sometimes fine, but rarely take advantage of RDO’s incredible and large virtual Wild West. That seems like a missed opportunity. 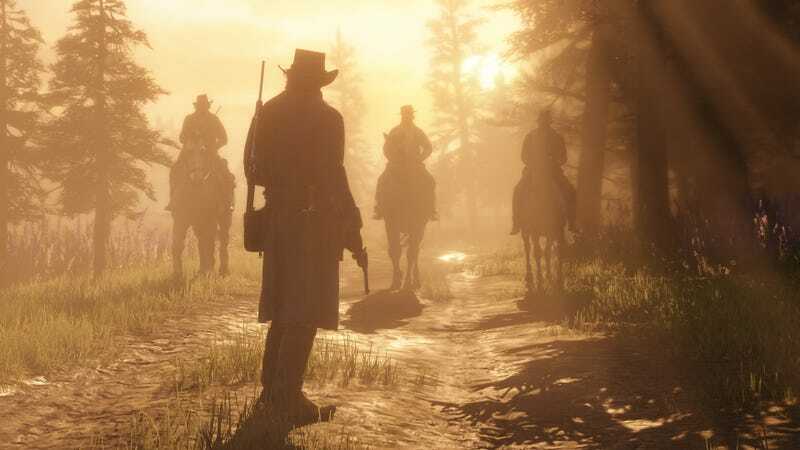 If we look at the last few updates Rockstar has released for Red Dead Online, we see a decently sized list of new content. The majority of this content is new showdowns, competitive PvP modes focused on players killing and racing each other. These modes can sometimes be fun. I’ve enjoyed playing Target Races. But almost none of these modes elicit a feeling of being a rootin’-tootin’ gunslinger in the Old West. They feel more or less like modes that could have easily been ripped out of any other online multiplayer game. Now, in Red Dead Online’s defence, its predecessor, Red Dead Redemption, didn’t have a bunch of online modes that were very Western themed. But that game did try to give players more ways to feel like they were a dangerous gunslinger. My favourite way they included was how every game mode started with a Mexican standoff. Each player standing face to face, hand on their revolver, waiting for the moment to draw their weapon and gun someone down before getting shot or killed themselves. Even the modes that were more standard deathmatches felt elevated by this wonderful opening standoff. Red Dead Redemption’s multiplayer also included poker and liar’s dice, allowing players to hit the saloon and play some cards after winning some duels. Red Dead Online is missing these touches. Sure, I can explore the vast world on horseback and lasso up some folks. But as Rockstar adds more content, it feels like these modes could do more to tap into the Wild West fantasy. This is one of the most gorgeous and highly-detailed worlds I’ve ever seen and it almost feels like this whole map and the time period of the game are being ignored by Rockstar in favour of adding battle royale and capture-the-flag modes. These modes are totally fine but don’t take advantage of that huge Western map or time period. Interestingly, some of my favourite modes in Red Dead Online are the horse races. These modes feel different than the automobile races found in GTA Online. Managing your horse’s stamina, your health and controlling them made me feel like a badass cowboy, right up until the point someone kicked me off my horse. However, most modes in RDO don’t give me that same feeling and I hope future updates add more Western-themed modes. Stuff that can only be done in Red Dead Online. Like a mode where players have to wrangle cattle, rob a bank together or even let players meet in towns to have one on one duels at noon. Outside the PvP game modes, the world of Red Dead Online is filled with some interesting activities, some of which do a better job of letting you live out the fantasy of living in the Wild West. I especially like protecting or attacking players’ stagecoaches. One of my favourite moments in Red Dead Online was when I rode into town and wanted to do an activity that involved protecting a stagecoach as it headed across the map. I found two other players in town and asked if they wanted to help. We grouped up, started the journey and ended up talking about what we had done so far. Eventually, we were attacked by a small rival gang of players. We held them off and got the stagecoach to its location. At that moment, as we said goodbye and rode off our separate ways, I felt like the quintessential Hollywood-style-cowboy. I wish I felt that way more often. So far after numerous updates, Red Dead Online isn’t becoming the game I had hoped it would become. Red Dead Redemption 2 is a slow game, filled with quiet moments. 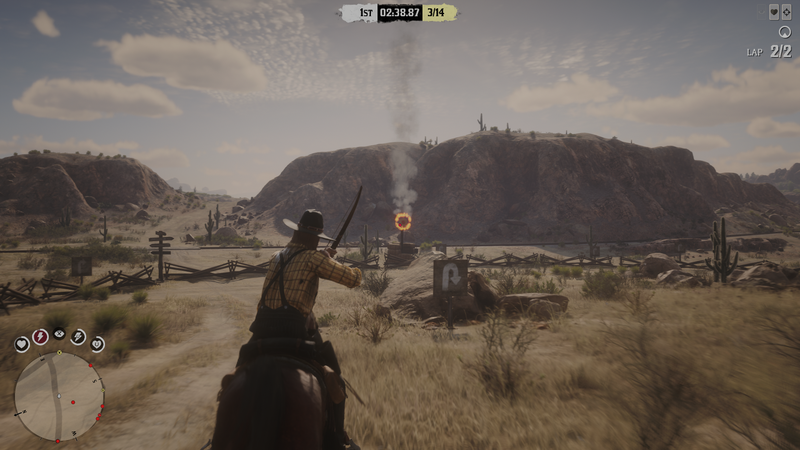 Red Dead Online, in contrast, feels more active and aggressive and it rarely feels like it is truly taking advantage of its unique setting or the highly detailed world. I hope the next few years of Red Dead Online updates don’t just keep adding PvP modes and clothing. I want to really get lost in the West, not just score some headshots in a deathmatch mode.